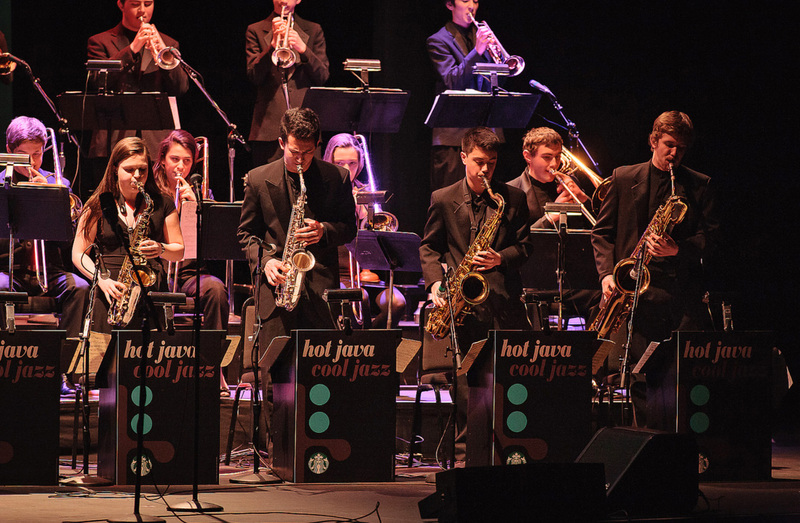 Garfield High School Jazz is one of the truly outstanding high school jazz programs anywhere in the world. Garfield is full of music… Ernestine Anderson. Quincy Jones. Jimi Hendrix. Macklemore. There are three bands in the program. Bands I and II are directed by Clarence Acox. Band III is directed by Jacob Zimmerman. Garfield is a public high school in that attracts students from a variety of cultural and socio-economic backgrounds. Garfield’s jazz culture very strong. The program has over 75 students and its curriculum maintains multiple levels of jazz bands. 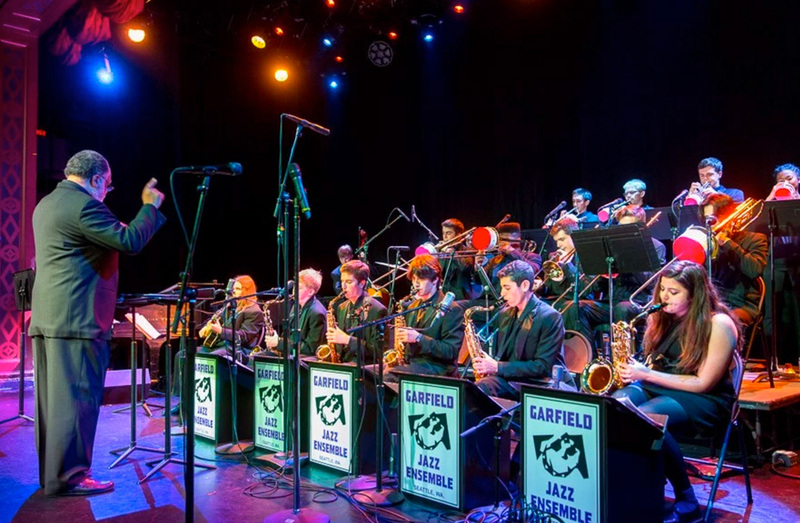 Under the leadership of Clarence Acox (now in his 42nd year as a music educator), Garfield continues to bring to young people the jazz traditions of such big bands as Duke Ellington, Count Basie and Woody Herman. Garfield is a frequent participant in the Essentially Ellington National Jazz Band Competition and Festival at Lincoln Center in New York City, the most prestigious high school jazz competition in the United States. 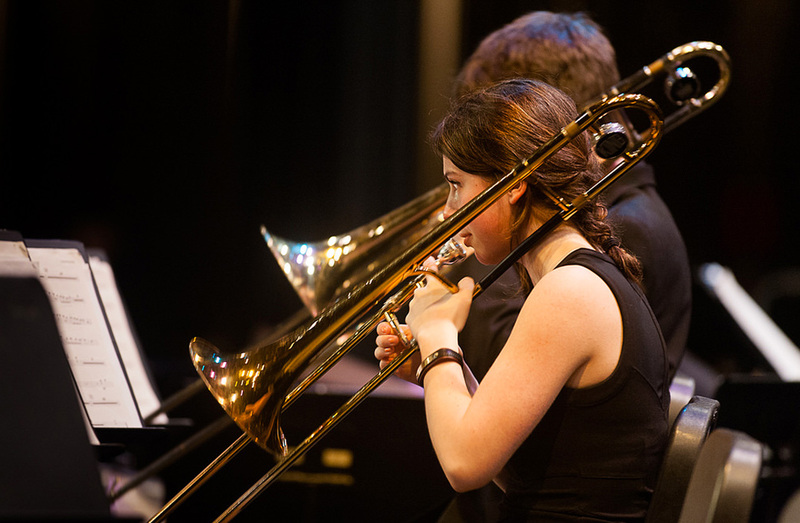 Since 1999, Garfield has been selected as one of the 15 Essentially Ellington finalists fourteen times, including an unprecedented four first-place trophies (in 2003, 2004, 2009 and 2010), as well as second place finishes in 2002 and 2008 and third place in 2006; you can watch their 2013 Ellington performances here [for media page individual linke?? https://youtu.be/f9nvrhavnEk]. In May 2003, the Garfield Jazz Ensemble made a national TV appearance, with Wynton Marsalis, on NBC’s Today Show.